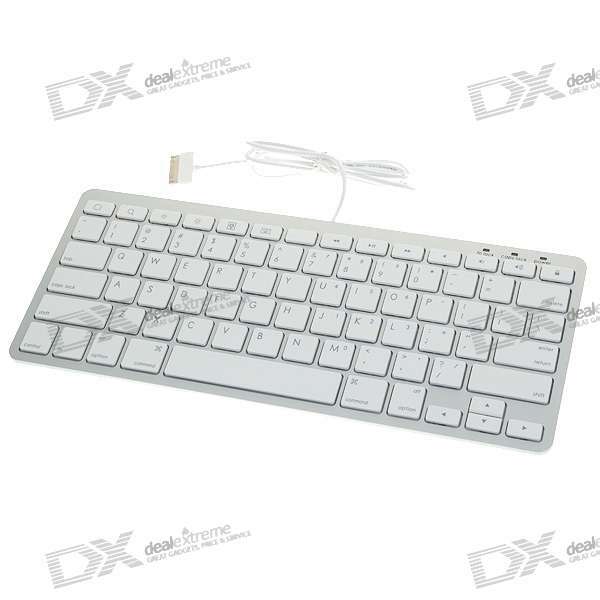 What different non-bluetooth keyboards exist for the iPad 2? I am in the navy, and am restricted in the use of RF emissions such as WiFi and Bluetooth. Is there a keyboard I can use with my iPad 2 that will plug into the 30-pin connector? Not the answer you're looking for? Browse other questions tagged keyboard ipad hardware-recommendation accessories dock-connector . What is the use of the Bluetooth on iPad? Can I connect a resistive touch panel to the iPad? Can I charge my iPad and use a 30-pin accessory at the same time? What is the command sent by the home button on iPad bluetooth keyboards?